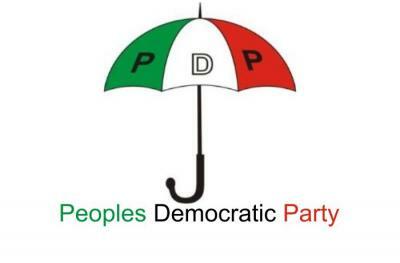 National leadership of the Peoples Democratic Party, PDP, said, yesterday, that as a party, it was never part of any corrupt practices while in power for 16 years, just as it stressed that it was in support of President Muhammadu Buhari’s present anti-corruption war as part of moves to place Nigeria among one of the tops in the world. The party said, however, that if the war must be seen to be successful, President Buhari must also carry out a holistic work by investigating some of his serving ministers and associates that even more grievous allegations have been levelled against. The PDP, however, vowed that any member so convicted shall also face intra party disciplinary action and would be severely sanctioned accordingly. A communique signed by the National Vice Chairman, PDP South-South and Sectretary, Body of PDP Vice Chairmen, Dr. Cairo Ojougboh, after a meeting in Abuja, yesterday, read: “That the body supports the anti corruption drive of the Buhari’s administration. The body affirms that if corruption is not eradicated, the growth of Nigeria as a nation will remain stunted. We, therefore, dissociate the party completely from any corrupt practices while the party was in power. “The body notes with great concern the various allegations and charges against some PDP members that served in government, even as these allegations and charges are yet to be proven, we call on the President to also investigate some of his serving ministers and associates that even more grievous allegations have been levelled against. “As a result, the body wishes to affirm that the PDP as a party dissociates itself from any of its members so indicted. Any member so convicted shall also face intra party disciplinary action and will be severely sanctioned accordingly. That the party stands steadfastly by the ideals of the G-34 founding fathers of the party. “That the ‘Principle of the Rule of Law’ which was a cardinal focal point of the party while in government remains sacrosanct and immutable. “That the body enjoins all PDP party members to remain resolute and await the pending repositioning of the party where square pegs will be placed in square holes and justice and equity will prevail. “Furthermore we reaffirm that mediocres will no longer be allowed to govern the affairs of the party. Power will now be returned to the people at the grassroots.